War savings week began on Sunday, when ministers of religion of all denominations throughout the country made appeals for the exercise of national thrift. Appeals will be made to every household to limit its expenditure and to aid the country to win the war by investing in Post Office Exchequer Bonds or War Savings Certificates. Reductions are urged in the consumption of meat and butter, coal and artificial light, while home baking and home washing or at the public wash houses are strongly recommended. 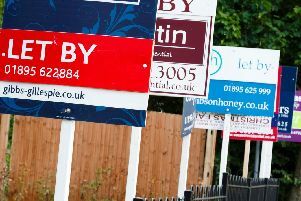 No one earning less than £25 a week can obtain a mortgage for even the most modest house, Mr WG Price MP for Rugby told the Minister of Housing in the House of Commons on Tuesday. He asked the Minister if he realised that young couples were ‘caught in the spiral of rising prices’ and were ‘seeing their prospects of houses disappearing’. Mr Price said building societies are asking applicants to prove a gross salary of five times the mortgage repayment (average £5). Girls at Rugby High School will benefit from £78,000 left to them by a former deputy head. Grace Randall, 91, who died in May, taught mathematics at the school for 38 years. She wanted the money to provide financial assistance to pupils going to university, polytechnic or any further education. Former pupils may also apply for help from the ‘GF Randall Bequest’ once it is running. The bequest was a big surprise to the school, which has also been given all Miss Randall’s books.